How much does Ophelia Nigmos REALLY know? Receptionist: Can I help you, young lady? 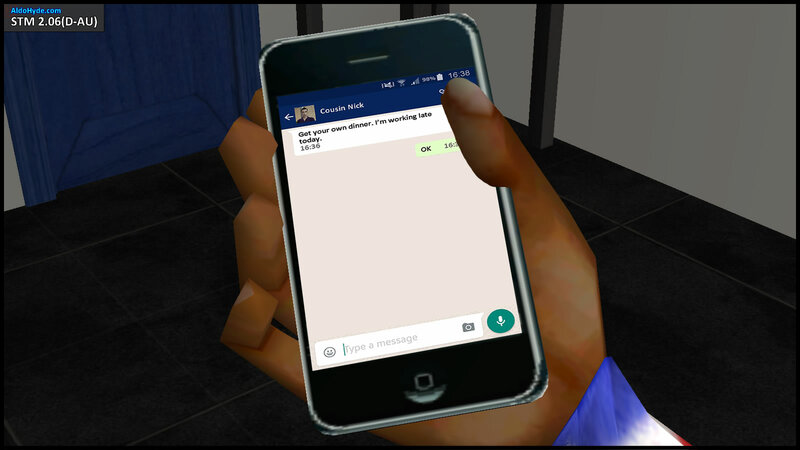 Ophelia: I need to see Dr Duncan Xu and Dr Trent Ivanov. Receptionist: Why you wish to see them? Ophelia: They investigated a case at my house. My name is Ophelia Nigmos, and I live at 13 Dead End Lane, Strangetown. It’s urgent. Receptionist: This way please, Ophelia. 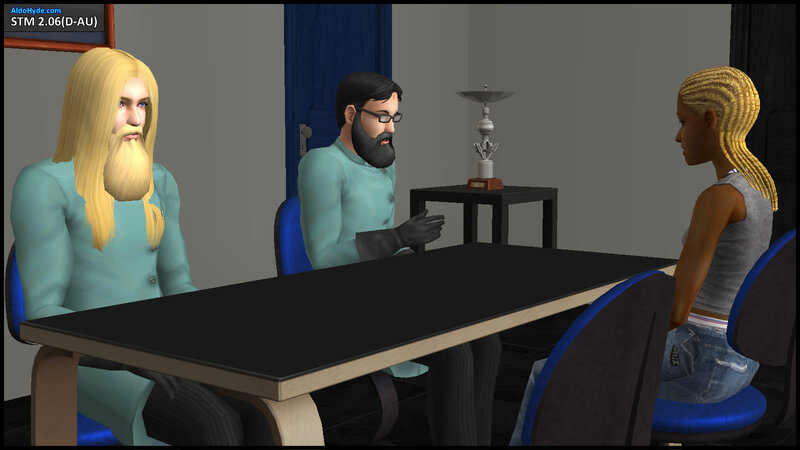 Ophelia: Good afternoon, Dr Xu and Dr Ivanov. Ivanov: Ophelia, how can we help you? Ophelia: I’m sorry. I lied to both of you(1). Ophelia: When my Aunt Olive Specter was alive, she had a cemetery in our yard. I’ve always suspected that she’s a murderer, but I never dared to say anything to anyone, until now. Xu: Ophelia, does your Cousin Nick know you are here? Ophelia: No. Cousin Nick doesn’t know. Xu: (gently) Ophelia, what stopped you from telling us the truth that day? Ophelia: I didn’t want to betray my Aunt, who took good care of me until she died, and Cousin Nick took over. Ivanov: I see. Did Cousin Nick warn you not to say anything? Ophelia: No. But he loves his mother, my Aunt Olive, very much. Maybe I’m a little scared of him too. Xu: What are you afraid that he’ll do? Ophelia: Yell at me, ground me. Ivanov: Anything worse that that? Ophelia: No, Sir. I don’t think Cousin Nick will do anything worse than that to me. Xu: That’s good. Ophelia, how long did your Aunt have that graveyard? Ophelia: It was there since I moved in, when I was orphaned at age 9. I never actually saw Aunt Olive kill anyone, but the number of tombstones kept increasing. I never dared to look in detail. Ivanov: When exactly did the graveyard disappear? Ophelia: It was intact in the morning on the day of my Aunt’s death(2). After her death, all the tombstones suddenly mysteriously disappeared. Xu & Ivanov: Mysteriously disappeared?! Ophelia: Yes. Cousin Nick and I have no idea how it happened. Mr Buzz Grunt, as in the former General, must have seen the graveyard on his way in, when he came to confront my Aunt. It must have been gone by the time he went out again. Xu: What did Grunt confront your Aunt about? Ophelia: He was very vague. But now when I look back, I think he suspected my Aunt in his wife’s disappearance. I don’t know for sure if Aunt Olive was really responsible for what happened to Mrs Grunt. Their family believes she was murdered. Ivanov: Why decide to tell us now? Because of this, Mr Grunt lost his career and reputation, his eldest son enlisted early in the army, his middle son was forced into boarding school, and his youngest son is in foster care. All because I lied!! Ophelia breaks down and weeps. Xu and Ivanov watch compassionately. Ivanov: What would you like us to do? Ophelia: Tell President Wolff that Mr Grunt is not insane, that he really did see the graveyard, and let him go back to his family. Xu: Ophelia, we will only get into trouble if you are lying this time. I’m not saying that you are, but you have to promise us that days, months and years from now, you’ll stick with what you said today. Do we have your word? Xu: Very good. Give us a moment. Exit Xu and Ivanov, to their private room. They are on the phone with Hyde. Ivanov: Ophelia, we’ll call you to come back in a few days’ time, to read and sign an official statement. We hope not, but if Cousin Nick gives you any trouble because of this, please call the police, or let us know. Don’t ever suffer in silence. If THIS is what could have happened if Ophelia decided to speak up, why didn’t she do so in the main plot? Does Ophelia indeed have a suppressed dark side, as a result of living in a supposedly evil environment for such a long time? Or are her wild fancies (in STM 2.06(C)) simply a nod to the fact that everyone is guilty of evil thoughts at some point of their lives? Whatever the reason, Ophelia is quite possibly the most powerful witness who could set General Buzz Grunt free. Such a pity that this did NOT happen in the main plot. – The Hyde Dynamic logo was created by Vpetmad, as a parody of the Massive Dynamic logo from Fringe. 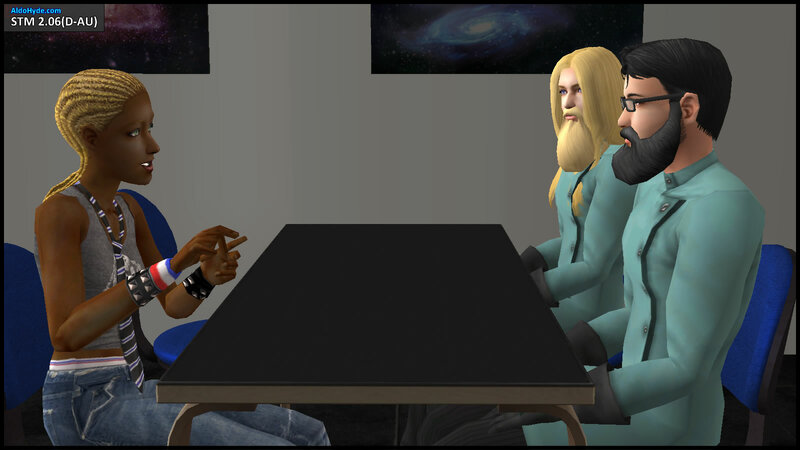 (1) For those who are unfamiliar with the STM Machinima Series, the Hyde Dynamic scientists first interrogated Ophelia Nigmos and Nick Grimm in in STM 2.05(A) Grimm Prospects P1. (2) Olive Specter’s death – STM 1.09 Saved. After this scenario in 2.06(D-AU), what more can we say about the “silence” in 2.06(C)? Maybe the reason she’s so nervous to tell anyone the truth is because Cousin Nick is making her homelife so uncomfortable, trusting anyone outside home would just make it worse. Maybe Olive made it hard to trust anyone out with her suspicious activities and the neighborhood believing the house to be cursed. Nice AU idea thou, it would be interesting to see how Cousin Nick reacted to further investigation or if they had to determine why the results of their investigation didn’t match Ophelia’s confession. Great job with 2.06 (D-AU)! Pity this will never happen in the main storyline, but as you said STM is a pshycological drama. The 2016 trailer is very good as well, especially that we could see all the Racing Men in their everyday clothes (I still can’t understand your thing with beards, but it’s your the Watcher so you decide☺. Hyde’s house is very cool (I suppose it’s expansive, isn’t it?). If your not still bothered with my long commen😂 can you show us the house? I’m not going to replicate it, I’m just curious. Many of the RM’s everyday wear matches their GTR98 car colors. 1. 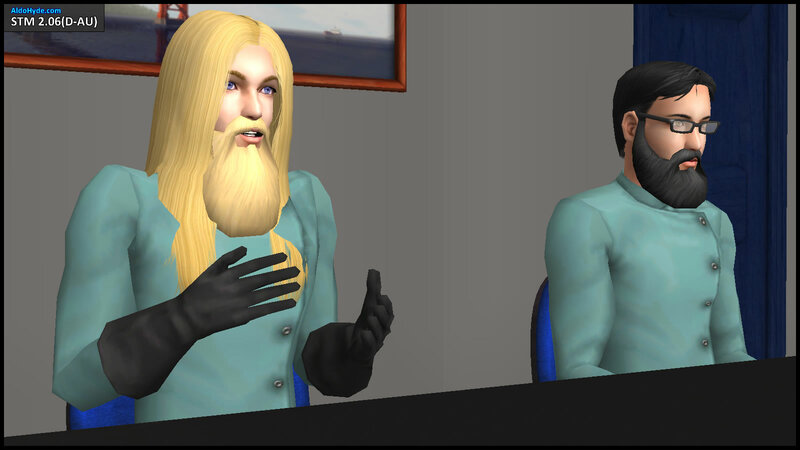 They are the closest sims to the Watcher, so they are the best candidates to physically resemble him. I wonder how an alternate reality where Bianca tells the scientists what she saw would go. There are many ways and I imagine that there are many alternate realities for all the different ways. Technically, this is true. But for practical reasons, I have to pick and choose the paths to follow, for a limited number of storylines. Seeing the two Alternate Universes of STM (and all the others from STM 1.10) made me realize that there’s an infinite number of alternate universes where just a little detail is diffrent from the others. If Hyde’s a Watcher, does it mean that he has unlimited powers? And if it does, why wouldn’t he expose the truth about Tybalt’s criminal activity? Why is so hard for Ivanov, Xu and the President to believe that Grunt was right? After all ghost, werwolves, aliens etc. exist, why can’t they believe that a graveyard disappeard? Does Hyde knows about the romantic relationship between Olive and Death and how they manipulated the soil tests? You’re asking all the correct questions. i could speculate that eventually someone speaks up to get general buzz grunt out of the asylum. presumably bianca monty? We’ll see about that 😉 The next part is coming… very shortly. Stay tuned. In STM 1.9 Olive Specter died and her graveyard vanished into thin air. Why? Do the graves disappeared because of Olive’s death like in those fantastic movies where if you defeat the antagonist and his/her dark magic things will change back as they were at the beginning, being untouched by the evil (if so, the victims would come from the afterlife…?) or it was all part of Thanatos and his wife’s plan of destroying Grunt’s reputation? In terms of gameplay, Kristen, Lola and Chloe’s deaths can be categorized as “disease”. Gosh! I’d never thought that glitches were the real reasons of the vanishing graveyard. Now we all know how the three Singles really ended up. Do you treat Specter’s victims’ death the same… did they ALL drank the Tea? Is Olive so cruel that she can simply murder her parents and make her niece suffer for loosing her parents without any sign of regret?! Also, what’s your theory about the death of C&O Monty (Claudio and Olivia Monty) and C&C Capp (Caliban and Cordelia Capp)? Were they all killed by the opposite family or did they killed themselves (I don’t know why but I feel that Tybalt is involved in this story ;))) )? Not necessarily. I think Olive’s parents (Peponi & Lerato Muenda), Ophelia’s parents (Creon & Willow Nigmos), and Ichabod Specter were NOT murdered. (There’s a backstory pic showing the Grim Reaper and Hula Girls coming for Ichabod, at what looks like their wedding honeymoon.) The rest may have either died on their jobs (hence the different ghost colors), or drank the tea. I didn’t put much thought into the storytelling reasons behind the deaths of Caliban & Cordelia Capp, Claudio & Olivia Monty and Hero Monty. However, I consider Contessa Capp to have died of Old Age. 1. What is the order of the Veronaville residents’ deaths? 2. Was that Monty-like building the Monty Ranch or something else? 3. In terms of machinima and storytelling, how can you explain the fence which surrounded Consort Capp when he was burned to death, the apparition of the cowplant who ate Romeo Monty, the flies who chewed Regan Capp etc.? 4. What about the Veronaville Disaster Memorial? Is that house a mausoleum? 5. Why are the Montys buried along with the Capps, their sworn enemies? CAN’T WAIT FOR 2.07 (B)!!!!!!!! When I made the VV Disaster video, I didn’t have a sequel series in mind. I simply made a new lot that looks similar to Monty Ranch, for the purposes of killing sims for this 2010 gameplay video. I don’t remember in which exact order did the sims die during gameplay, but I do recall prioritizing them by age group. The VV Disaster Memorial is simply a residential lot turned into a graveyard. It’s possible to interpret the building as a mausoleum. Remember that in 1.01, Antonio chose to renounce the Feud when he accepted the Capp children, during the time when Bianca was unconscious. So it was likely he who made the decision to put them all together on the same lot. I should not spoil the machinima interpretations for any of these questions. It’s a thin line that I’m treading, retconning story-style reasons for literal uses of “boolprop testingcheatsenabled true” in a pre-existing gameplay video. The reasons may not be done to the level of detail that some viewers may expect, because I focus more on the general principles. I guess you can say that, in terms of machinima, the fence and the other things are somehow breaking the fourth wall. Also someone asked about Olive’s victims’ deaths… I’ve been playing The Sims 2 for a long time and I had to uninstall the game multiple times due to my poor knowledge about game/neighborhood corruption, especially from her victims. I like to play the Specter household but there’s something that annoys me: the random appearance of some of the victims’ ghosts whenever they emerge from their grave (it also happens with Caliban Capp and I hate when he comes out at night either with punk clothes and long straight hair or alien-like clothes and elf ears). Is there anyway I can remove all the glitches from the poor, innocent dead Sims’ (minus Earl E. DeMise… you m***** f*****, you deserved to die!!!) character file? And how can I stop ghost from having a random appearance? As I do not preoccupy myself with object meshes, I cannot tell you how to recolor tombstones from Sims2, or how to reassign something else to be its default replacement. Nether have I tried to export object textures from one sims game, to be imported into another sims game. 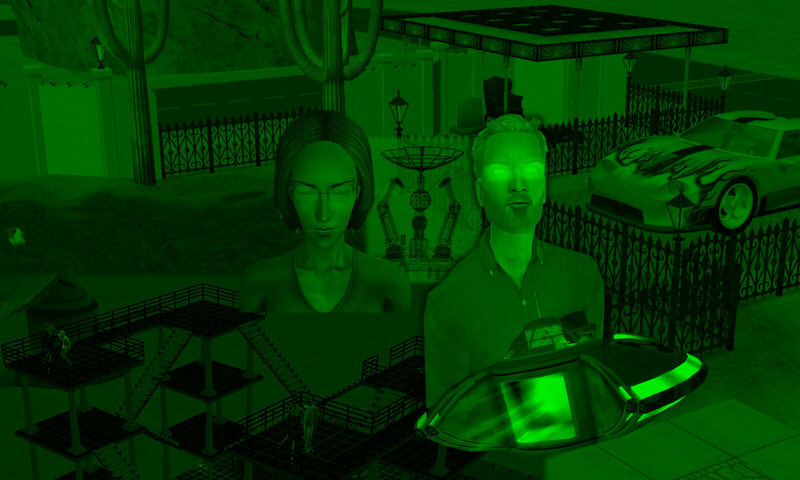 As for the Sims2 premade ghosts, I suggest you do not tamper with them in ANY way. 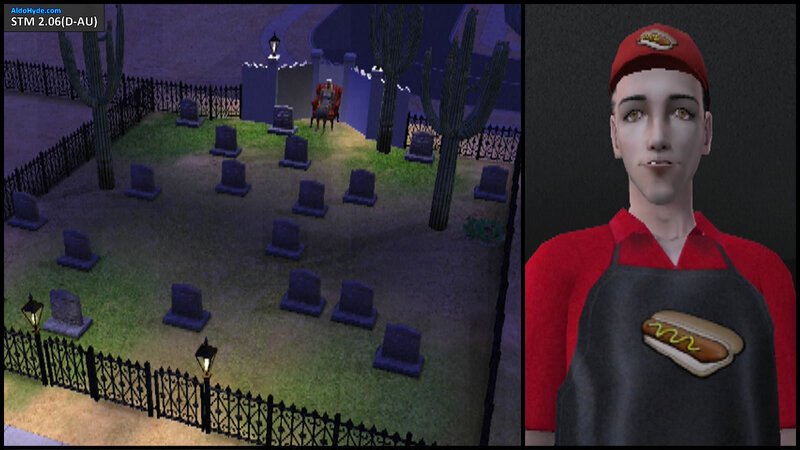 If ghosts’ appearances annoy you, you can just deposit the tombstones onto another residential lot which you do not play with — by putting them into someone’s inventory, moving them there, putting down the tombstones, then moving back the living sim to their original lot. Then you can use those Sims3 tombstones as decor items to represent the Sims2 tombstones that you moved away. 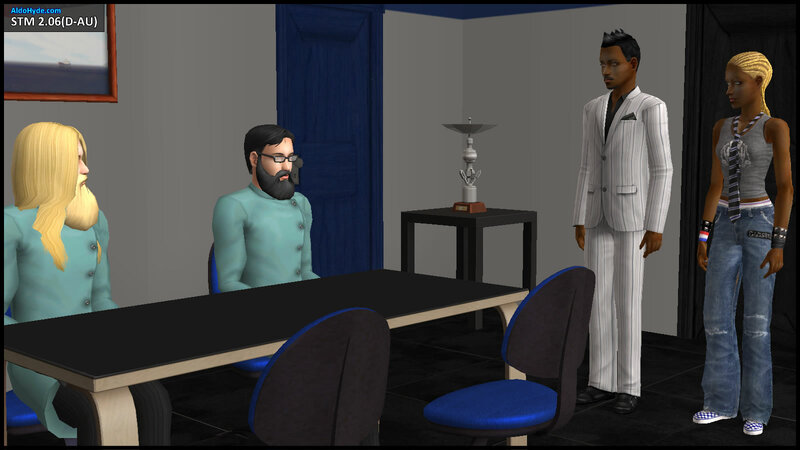 Sometimes, Sims2 tombstones just randomly disappear during standard gameplay, an accidental occurrence that may corrupt the neighborhood It was so annoying, that once I got Sims 3, I just gave up “playing” Sims 2, and used the latter only for machinima / storytelling. I have the same problem as you: I like those custom graves. 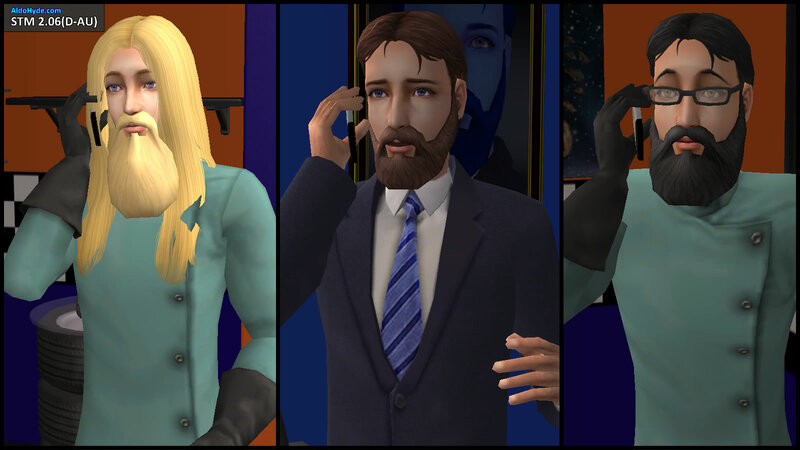 Aldohyde, please, do you know how to extract the graves from TS3 and import them in TS2 ’cause those from Mod The Sims by TheJim07 are incomplete (they don’t have the pictures of certain types of deaths e.g. : Jelly Beans, dehydration, shark attack and so on) Please! !